Parker Yowell is a multi instrumentalist who is currently the drummer for the death metal super group, Serpents Whisper. He has been using MEE audio in ear monitors since 2015. Serpents Whisper features members of Nile, Disgorge, Broken Hope and Six Feet Under. In addition to Serpents Whisper, he is the guitarist and drummer for the band Skin the Lamb. This band is known to feature artists from other bands such as Sean Z (Chimaira, Sinsaenum), Jeff Hughell (Six Feet Under), Kevin Muller (Suffocation), Derek Boyer (Suffocation), Terrance Hobbs (Suffocation), and many more. Parker began studying drums at the age of 16 under death metal drummer Kevin Talley. He would later go on to begin his touring career as Talley's drum tech on the 2014 Suffocation tour. In 2016, he played drums in the death metal band, Jungle Rot, as they supported Dying Fetus around the US and Canada. He has also performed at Maryland Death Fest. 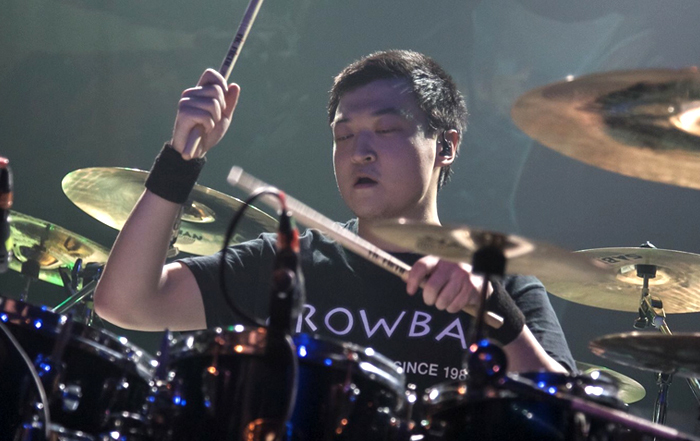 In addition to playing drums, he also works as a drum tech for Oli Beaudoin of the band, Kataklysm. Parker also offers a wide variety of services while he is not on tour including playing drums on your band's album, song writing, producing and pre-production editing. Parker proudly endorses MEE audio, Axis Percussion, Scorpion drum sticks and Dean Markley strings.